The perennial revolving door at quarterback is nothing unfamiliar for fans of the Cleveland Browns. Whether it was before the team moved to Baltimore, or even after they were reincarnated in 1999, the team’s search for a long-term answer at quarterback has seemed endless. Guys like Frank Ryan and Brian Sipe did bring some stability to the position, but none of them could ever hold a candle to the great Otto Graham, who took the Browns to the NFL Championship (in the pre-Super Bowl era) ever year between 1946 and 1955, winning the championship seven times in that span. In 2012, NFL scouts and teams were first learning the drawbacks of drafting a quarterback who played in a spread offense in college. But after watching what Brandon Weeden looked like when he got to the NFL, it made front offices downright terrified of taking quarterbacks from those offenses. 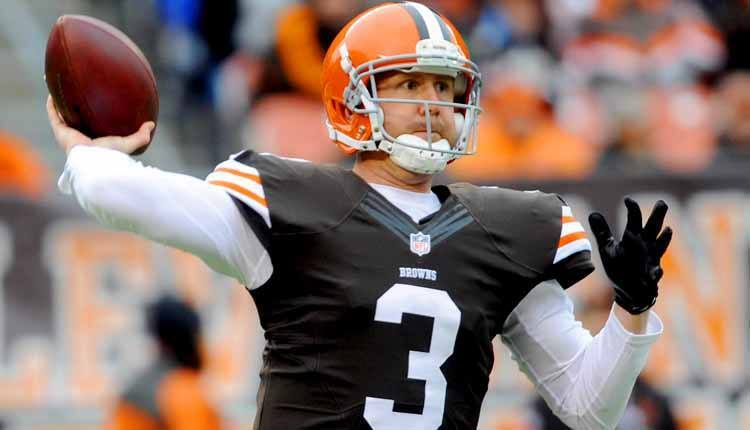 There were plenty of analysts who cautioned against taking Weeden with an early draft pick, but true to form, Cleveland threw all wisdom to the wind, selecting him with the 22nd pick in the 2012 NFL Draft. It was clear from the get-go that Weeden wasn’t ready when, in his first game, he finished with a 5.1 passer rating after throwing four interceptions in a loss to the Philadelphia Eagles. That was the sixth-lowest passer rating in a season opener by any quarterback attempting at least 15 passes since the merger in 1970..